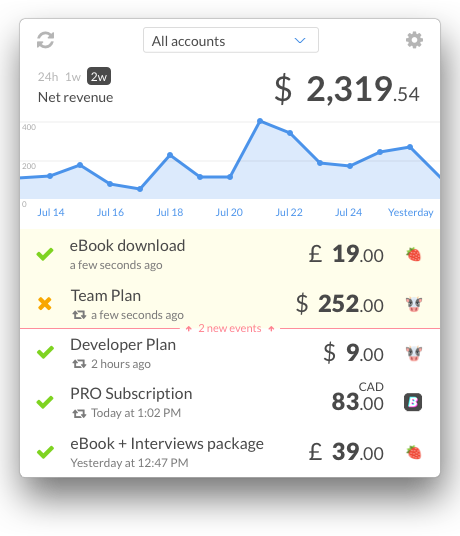 You’ve setup your Stripe account and are charging people for your product. You’re working on what you love, people pay you for that. Life is wonderful! Recurly did a benchmark and found out that up to 18% of transaction are declined for B2C. Spreedly’s insights are even more alarming, as 25% of transactions fail on average. For some currencies used in Mexico (MXN) or South Africa (ZAR), where Stripe is available on invitation, 55 to 74% of total transactions fail. Yes, up to 3 out of 4 are failed charges! 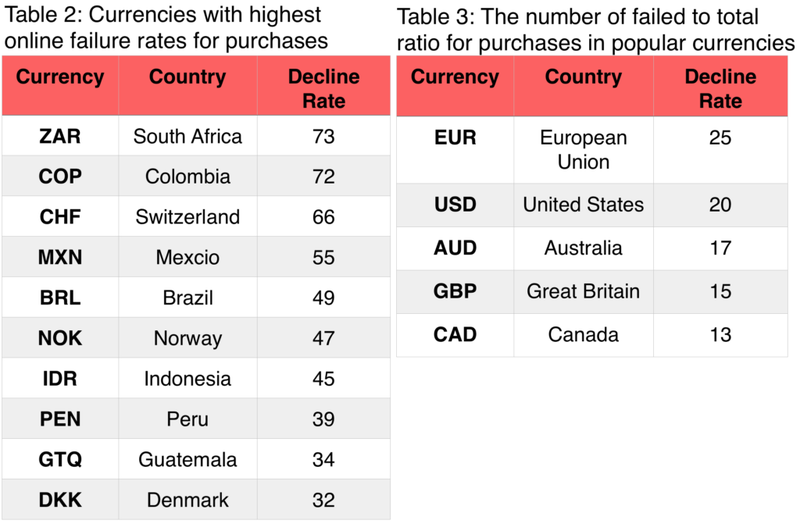 USD and EUR have lower percentage, but this is still 20 to 25% lost to failed payments. Obviously, fraud plays a big role in these numbers. But there are a lot more reasons why a transaction can fail. or because bank’s fraud system decided that something does not look good: “international transaction + high amount + digital goods” carries a higher risk of being disputed, and banks don’t like risks. Bottom line is: payments do fail, and this impacts your revenue 📉. Good news is, on the 4 failed payment reasons listed above, the first 3 can be recovered quite easily. Stripe will automatically retry failed payments, so that should take care of temporary fund limit issues. For anything else, you should simply talk to your customer. Ask her to update her credit card, or her account details, and try again. she’s probably upset to NOT being able to buy. By contacting your customer and explaining her how to fix that situation, you’ll both end up happy. 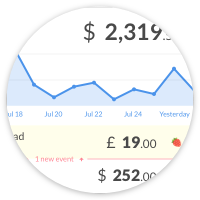 See how Statsbot reduced churn due to failed charges by nearly 27%, by automating emails when a charge fails. The sooner you know about a failed transaction, the sooner you can contact your customer and fix the situation. Ideally you would email / phone her in the minutes following a failed transaction. If you wait too long, your customer will have switched context, and this makes it harder to recover your payment. Simply install CashNotify, a native Mac app to get failed payment alerts directly in your menubar. Not only will you have real-time notifications on failed charges, but you can also monitor successful charges, refunds, and even payouts. Push Stripe alerts to your Slack team. Great way to let all your team know about a failed charge, so anyone can contact the customer. Protip: create a dedicated channel for these notifications, otherwise they’ll be lost amongst all your cat gifs. Of course you can use Stripe’s webhooks and develop your own alert system. Most flexible solution, but be prepared to spend nights and days on it. And you need to know how to code, obviously. There are products dedicated to handle this exact issue, through automated emails and credit card update form. Costs range from USD $50 up to $500+ / month. This starts to become serious. Here are a few of them: Stunning, Baremetrics, Churnbuster.